The controversial claim that Gerry Adams and his committee controlling the 1981 hunger strike from outside the Maze prison refused a substantial offer from then-Prime Minister Margaret Thatcher - an offer accepted by the prisoners - has been proven true. The allegation is substantiated in the notes of Derry businessman Brendan Duddy. Duddy, the 'Mountain Climber', was the messenger between the British Government and IRA during the hunger strike. Duddy previously confirmed he delivered an offer from Thatcher's Government to Martin McGuinness. 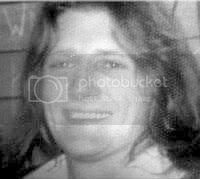 Along with Danny Morrison and Jim Gibney, McGuinness wmmittee were the 'ly 8, while Adams was in mid-discussion with the British, Joe McDonnell became the fifth hunger striker to die. Five more were to die before the hunger strike's end in October 1981. All the proposals made by Margaret Thatcher in early July were implemented immediately after the hunger strike ended. An ex-Provo prisoner who watched his comrades die on hunger-strike has blasted the IRA leadership for their "needless deaths". Richard O'Rawe says key IRA leaders should "hang their heads in shame" for rejecting a secret British offer which could have saved six hunger-strikers' lives in the notorious H-Blocks. The West Belfast republican, who was the prisoners' public relations officer, claims "six men with hearts like lions were let die horrific deaths for nothing other than getting Sinn Féin votes". Four hunger-strikers were already dead when British Prime Minister, Margaret Thatcher, capitulated and made her dramatic offer in July 1981 effectively granting most of the prisoners' demands. O'Rawe, who bravely lifted the lid in 2001 on the secret British proposal to end the hunger-strike, was speaking after his account was proven true by documents just lodged in an Irish university. He's now urging republicans all over Ireland to urgently revise their understanding of what happened during the H-Block death fast that made headlines across the world. "The evidence is there for all to see. It's the biggest cover-up in the history of Irish republicanism," he told the Sunday World. The hunger-strike was run on the outside by a clandestine committee set up by the Army Council. Its members included the North's best known Provos who were also in Sinn Féin. "These men should have the guts to finally come clean and tell how they let six republicans, whose boots they weren't fit to lace, needlessly die horrific deaths in a H-block hell-hole. "Let them explain how they rejected an offer which meant Joe McDonnell, Martin Hurson, Kevin Lynch, Tom McElwee, Kieran Doherty and Mickey Devine would all have lived." O'Rawe spoke of the threats and intimidation he and his family had suffered since he exposed the leadership's lies. "'Richard O'Rawe H-Block traitor' was written on the wall opposite my home. Well, it's now as clear as daylight who betrayed the hunger-strikers." Papers donated to the National University of Ireland in Galway by Derry businessman, Brendan Duddy, show how the IRA prison leadership accepted a substantial British offer to end the death fast. Known as the 'Mountain Climber', Duddy was the messenger between the British and the IRA. His notes show – as O'Rawe claimed in his best-selling book Blanketmen – that the British made an offer on 5 July 1981 effectively granting the prisoners' five demands except free association. Joe McDonnell, the fifth hunger-striker, was hovering on the brink of death so urgent action was required. Duddy relayed the offer to Martin McGuinness who told Gerry Adams. Danny Morrison was then despatched to the H-Blocks to brief Bik McFarlane, the IRA commander in the jail. When he returned to his cell, McFarlane told O'Rawe the good news. "We were both delighted. A few hours free movement every day wasn't worth one more life," says O'Rawe. "The British were compromising on prison uniforms, work, visits, letters and segregation. Bik wrote to Gerry Adams, accepting the offer." However, the Army Council committee then sent word into the jail that the offer wasn't enough. On 7 July, the IRA told the British that while the substance of the proposal was acceptable, the "tone" needed changing. Joe McDonnell died the next day. "This fine republican died because an Army Council clique didn't like the 'tone' of a document," says O'Rawe. "Five other great men, the bravest of the brave, followed him. The hunger-strikers were Spartacuses. "They gave everything they had to the republican movement. They believed to their death in a 32 county socialist republic. This Army Council committee between them didn't have even an ounce of one hunger-striker's courage. They were a bunch of immoral, unscrupulous b*****ds." It was later revealed that the Army Council committee never briefed the entire Army Council itself on the details of the offer. The hunger-strike had become "a cynical PR exercise to gain votes", O'Rawe claims. It had to continue at least until Owen Carron won the Fermanagh and South Tyrone Westminister by-election in August, holding Bobby Sands' seat. The ex-IRA man says he faced a campaign of vilification since he began exposing the truth about the hunger-strike: "I was told I could be shot. My children were harassed. 'Your da's a liar,' people shouted at them. "I was ostracised. Guys I'd operated with in the IRA, some of my best friends, snubbed me as the leadership spread their lies." O'Rawe (57) lives just across the road from Milltown Cemetery on the Falls where three hunger-strikers are buried. He often visits the graves of Bobby Sands, Joe McDonnell, and Kieran Doherty: "It's heart-breaking but I don't need to go there to remember them because they never leave my mind." On the 30th anniversary of the 10 deaths, he still breaks down in tears thinking of his comrades. This article appeared in the December 11, 2011 edition of the Sunday World.